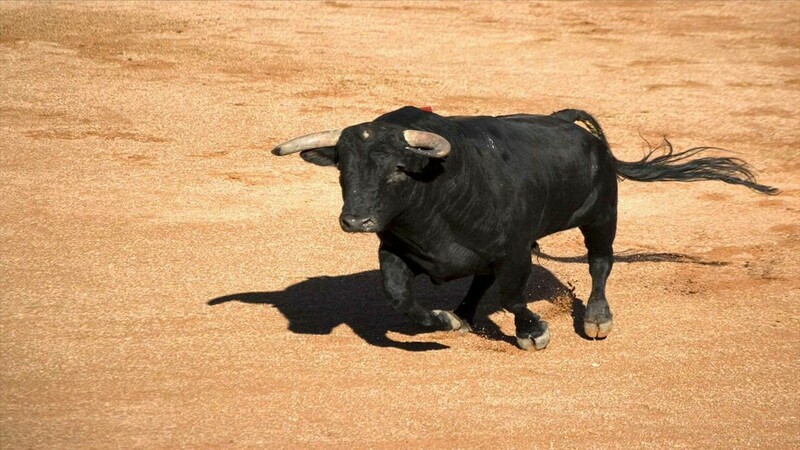 27 March 2019 (Wall Street International)* — Imagine you are in front of a huge and raging bull charging at you, ready to mow you down and destroy you with full force… until somebody press a red button on a small “control” and stop the bull completely in its action. Raging Bull | Photo from Wall Street International. Well, it has already been achieved by a scientist at Yale in 2013. It was proved that a bull could be “remote controlled” by placing electrodes into its brain that later reacted to electrical stimulations, literally changing the bull’s behaviors and actions. According to that scientist “functions traditionally related to the psyche, such as friendliness, pleasure or verbal expression, can be induced, modified, and inhibited by straight incentive of the brain”. Although there have been many experiments of brain manipulation, some linked to secret projects lead by mysterious organizations, this research suggests that brain can be controlled via direct stimulation. The question that must be asked is the following: if that happens in a massive environment, like the Internet, who will control the remotes and for which purpose? Brain control | Photo from Wall Street International. The very notion of cyberspace is a somewhat obvious example of the social construction of a symbolic universe, through a three-fold process of externalization, and internalization at the same time. The term “cyberspace” comes from fiction in reality and was originally defined by cyberpunk novelist William Gibson as “a consensual hallucination experienced together by billions of legitimate operators”. In his novel Neuromancer, Gibson invented the notion of cyberspace as a computer-accessible location where all the existing information in the world was collected. Brain manipulation | Photo from Wall Street International. Although wars between ideologists and their opponents have found a battleground on the Internet since at least the Web’s early beginnings, very few groups have actually been accused of becoming a dangerous cult or to execute cyberterrorism. For example, when many of us think about “Internet cults”, we think of the huge amount of followers that Scientology church has and all the hype it generated in its conflict against Anonymous group, (by the way another type of cult born in the Internet). Or maybe even the members of Heaven’s Gate who died in another mass suicide trying to catch an extraterrestrial spacecraft they believed was following the Halley comet. Let’s try to define what can be an online cult, it is not really an easy topic so I can fall into the misconception. They aren’t all that different from organized religions, in many ways, but there are key differences: in a destructive cult environment, the leader often uses psychological tricks to gain complete control over his followers’ behaviors and actions. Often, cult leaders use verbal and physical abuse, or sexual coercion, to gain extraordinary levels of control. In a cult, it’s important for the leader to strip away a follower’s sense of self and replace that with a person who obeys them above all else. So, connections with family or friends outside of the cult circle are discouraged and many times outright forbidden. Failure to follow the rules have many times terrible consequences. Cyberspace | Photo from Wall Street International. There are some common pathways reported by people who fall into, and then leave these online cults. They usually report that their initial exposure started with a question, and that a search engine took them to content that they found compelling. They engaged with the content and then found more. They joined a few groups, and soon a recommendation engine sent them others. They alienated old friends but made new ones in the groups, chatted regularly about their research, built communities, and eventually recruited other people. We used to worry about filter bubbles, which accidentally trap users in a certain sphere of information. 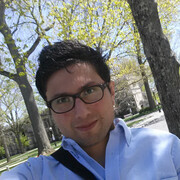 In the era of social networks, the bubble has expanded: people can easily become enmeshed in online communities or groups that operate with their own media, facts, and norms, in which outside voices are actively discredited, and in the most extreme cases they find a way to include validated violence and even murder in their repertoire of characteristics. Online cult radicalization is now a factor in many destructive and egregious crimes; ISIS is the most successful cult at harnessing this power over Internet. The radical Islamic terror cell operates an extremely sophisticated network of online propaganda. This propaganda is why it’s possible for people to self radicalize and commit terror attacks without ever physically meeting anyone in the group. But while each cult differs in tactics, there is a recurring topic here, they can all recruit you from the comfort of your own home, using the power of the social media and the cyberspace in general. That can be, maybe you’re a parent and your kid is in his bedroom and he’s on his smartphone and he’s in a cult and he’s in your house. You’re there watching Netflix and your kid is interfacing with cult members and a cult leader on his smartphone. This utilization of social media paired with the platform’s ability to allow people to entrench themselves into a bubble is something that allows mind control to be successful. Cyber wars | Photo from Wall Street International. While the Internet and its platforms allow these groups to operate and to recruit, it also works as a tool for escape. Online there is posted a lot of information on what cults are and there are free databases that offer information on them and have contacts for family members who believe a loved one is in a cult. Furthermore, the online world also offers a community for those reentering the world after freeing themselves from the grasp of a cult. There exists forums and support groups, some of which are even particular to certain cults. Technology is basically neutral. It’s kind of like a hammer. The hammer doesn’t care whether you use it to build a house, or a torturer uses it to crush somebody’s skull. The hammer can do either. Whatever the future holds, we will no doubt be faced with constant manipulation of our own self, as the invasion of Internet increases in our lives, and technology evolves at a faster rate that we can keep up with. In many ways, with Internet, we’re sort of creating a ‘deus ex machina,’ a great machine that is penetrating and connecting in with more and more of our lives. In that sense there’s something like a terrestrial god about it. Will we lose “ctrl” to it?